This is perhaps the only time when Frank puts his guns and his crusades for justice and punishment away and pay his respects to his late family by building this makeshift shrine in honor of his late wife and two children who were all gunned down by the mob years ago. The shrine is not pretty elaborate. But it’s special enough with a large family portrait, two candles, a tall narrow vase with 3 roses planted in them which he picked from a bush, and 2 crates, one serves as a harp seat, the other serves as an altar to put the smaller items on. 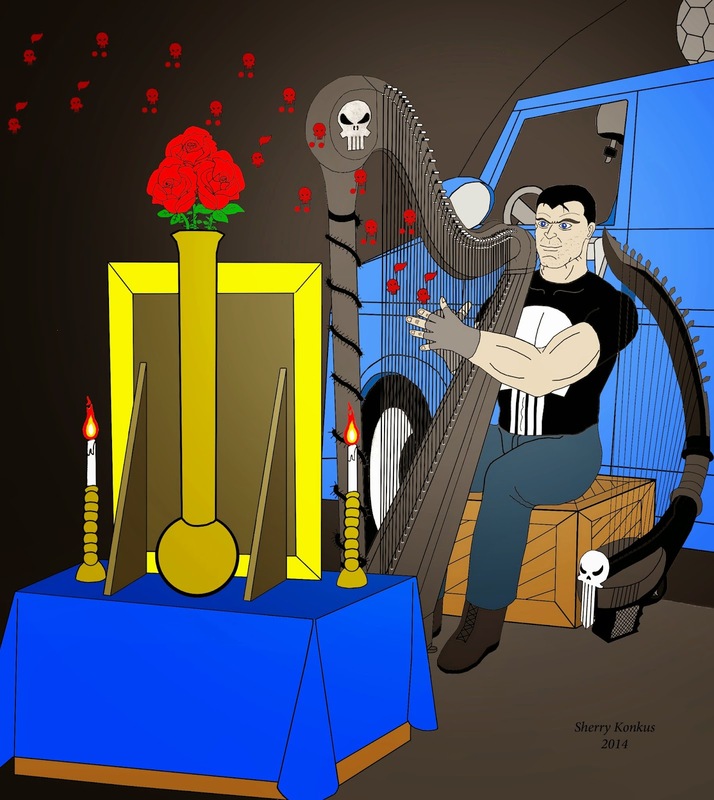 Staring at the family portrait, Frank plays his harps, creating a peacefully tranquil atmosphere where the only sound heard from the sacred shrine is the music of WarHarp, Comfort Lady, his large concert harp, and Frank’s singing voice filling the entire shrine with songs, poems, and prayers.